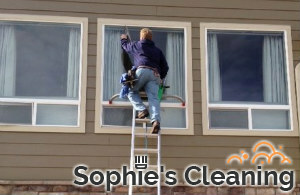 Windows require regular washing, but cleaning their external glasses and frames can be a tricky and dangerous task. If you need help with the washing of the windows in your property, be it residential or commercial, use our professional services. Our cleaning technicians are fully insured and certified to implement trustworthy window cleaning in Wimbledon SW19 which is compliant with the health and safety regulations. 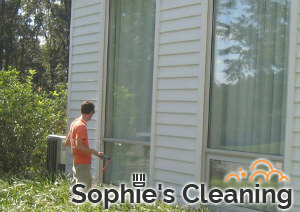 They can make your house and office windows perfectly sterilised and clearly visible in a matter of hours. Just give us a call and leave the rest to the professionals in our company. Our service starts with initial inspection and sending of a quote to the customer to approve. It is implemented by skilled and certified technicians with extensive experience and proper training. Our employees follow the health and safety guidelines when performing the task. They use water-fed pole system to reach to the 4th floor and wash the external windows. Higher located external windows will be cleaned through rope access or platforms. We guarantee remarkable results of our first-class window cleaning services which we implement in Wimbledon SW19 seven days per week. The water-fed pole is telescopic and high enough to reach to the 4th floor. It is constantly supplied with purified water, extracted from our technicians’ vans and when regularly used ensures complete cleansing of the glasses. This system is very efficient as it doesn’t need drying. The reason for this is that the water is being purified and all minerals are removed from it. Use our highly effective and safe window cleaning services in your home or work place, located in SW19 and the results will be incomparable.